Leathernecks. Jarheads. Devildogs. Grunts. Just a few ways over the decades we have described our US Marines. Their undying support to protect and defend the Constitution of the United States, America, their brothers and sisters and maintain the honor and integrity of the United States Marine Corps. This year celebrates the 239th Birth of the USMC and should be recognized this November 10th, 2014. They are one year older than the United States and that should mean something! Happy Brithday United States Marine Corps! How many USMC Slogans, Mottos, and Saying have there been over the years? As we continue our “salute to service” on our blog, we’ve got a list of popular marine slogans, mottos, and clever sayings just for you. 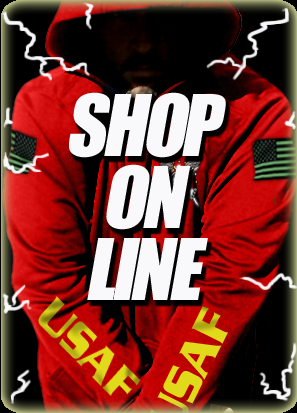 We hope you find them useful and serve as a resource for your custom marine t-shirts or apparel for yourself, fellow marines, or family & friends in support. And be sure to add any of your personal favorites in the comments section. With the United States Marine birthday tomorrow and Veteran’s Day the very next day we continue our “salute to the troops” on our blog, we have researched several popular USMC slogans, mottos, and sayings that have become known to be associated with our US Marines. Many of these may serve as a resource for adding custom text to your shirts or custom marine t-shirts or apparel for your Marine, family member or friend. One does not frequently think of Marines without a clever saying. Here are a few. It’s America so if you have some fun slogans and comments to add please do so in the comments section below. -Advertisement saying first said by Capt. William Jones in 1779, when he was looking to enlist “A Few Good Men” to serve in the US Marine Corps. -A tribute saying out of honor and respect for the most decorated US Marine in history – Chesty Puller – a Marine that earned the Navy Cross 5 times. -General Alfred M Gray, USMC – A common thread among the US Marines that before all else they are riflemen first, trained to fight, trained to shoot and trained to be the meanest SOB’s in combat! -General Pershing, U.S. Army – Leaves little doubt about the nature of the Marine. -Adopted slogan from the U.S. Media during WW1, or sometimes often said as First to go, Last to know.